NEW LAKEFRONT HOME! Located in the gated Wisdom Pointe Subdivision, this 4-bedroom home is perfect for full-time or part-time living! 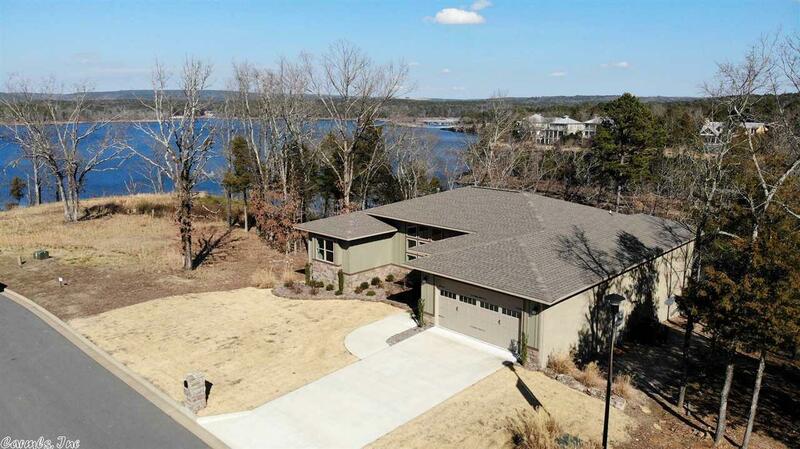 This one level home has a very open floorplan with a wall of glass overlooking Greers Ferry Lake! Luxury vinyl plank floors (extremely durable and beautiful! ), granite tops everywhere, tall ceilings, wet bar, laundry room, 2-car garage, large deck, fireplace and easy access to the lake! 4-minutes to Dam Site Marina!!! Absolutely perfect!